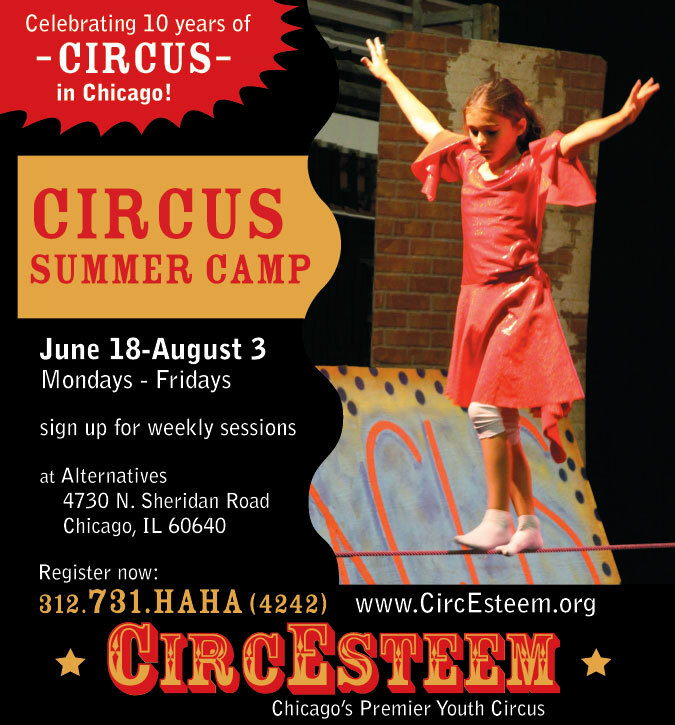 ChiIL Mama : CircEsteem's Summer Camp Early Bird Registration Ends TODAY! CircEsteem's Summer Camp Early Bird Registration Ends TODAY! Reminder: CircEsteem's Summer Camp Early Bird Registration Ends TODAY! Drop off your registration form and payment at CircEsteem at 4730 N. Sheridan Rd., Chicago before 8 PM today. Mail in your registration form and payment today (must be postmarked March 1st). Sign up for 1 week or all 7! $260 per week-Discounts and scholarships available! Each week concludes with a show for friends and family. Multi-Week Discount: Sign up for 2 or more weeks of camp and take $10 off per week. Refer-A-Friend: Register with a friend who is new to CircEsteem and you receive a FREE CircEsteem t-shirt for each child. *Reminder: New CircEsteem spring class sessions start next week! Check out ChiIL Mama's prior coverage for details. Highly recommended!